The National Tourism Awards 2010-11 were conferred by the President of India Pratibha Patil on 29 February 2012 in New Delhi. Madhya Pradesh received the National Tourism Award for its efforts in developing tourism related infrastructure and programmes in the state. North-Eastern state Sikkim bagged the award for the best among Northeast states and J&K category. It also got the new award under Campaign Clean India. Best heritage city award was bagged by HYDERABAD. Hyderabad airport received the award in the Best Airport award category. New Delhi railway station named the most tourist friendly railway station. The 84th Oscar Awards ceremony for 2011 took place at the Hollywood and Highland Center in Hollywood, California on 26 February 2012. The Artist` directed by Michel Hazanavicius won five Oscars including those for Best Picture, Director and Actor. The Artist is a silent French romantic comedy drama directed by Michel Hazanavicius, starring Jean Dujardin. Pakistan got its first Oscar as Sharmeen Obaid-Chinoy received the Oscar for Saving face (Best documentary -short subject) along with Daniel Junge. The Dr. Y Nayudamma Memorial Award for 2011 will be conferred on Rajendra Singh Pawar, chairman of the National Association of Software and Service Companies (NASSCOM) for his contribution to IT industry. The award will be presented to Pawar at a function at Tenali, A.P the native town of Dr. Nayudamma. He will deliver the 20th Dr. Nayudamma Memorial Lecture on ‘IT for national development’ at the function. The Public Relations Council of India (PRCI) recently gave Shabnam Asthana the prestigious national public relations Hall of Fame award for her contributions in the field of public relations. The award was presented to her at the Sixth Global PR Conclave 2012 in Mumbai. The former President, A.P.J. Abdul Kalam, and the former Lokayukta of Karnataka, Justice N. Santosh Hegde, have been selected for the S.R. Jindal Prize for their outstanding contributions in their fields. While Mr. Kalam gets the award for his contributions in science and technology, Justice N. Santosh Hegde will be bestowed the prize for his exemplary service in social development. The prize carries a cash of Rs. 1 crore. The Sitaram Jindal Foundation, which has instituted the award, will felicitate 25 others also. Veteran Hindi film music composer Rajesh Roshan was honoured with the Lata Manageshkar award 2010-11 by the Madhya Pradesh government on 8 February 2012. Previously this award was awarded to the legends like late Jagjit Singh, Asha Bhonsle and Naushad. The sixty-fifth annual BAFTA(British Academy Film) awards, was held at the Royal Opera House in London 12 February 2012.Black and white silent movie, The Artist won six awards, including best film, best actor and best director.Best Actress was awarded to Meryl Streep for her amazing acting as former British Prime Minister, Margaret Thatcher in the Iron Lady. Some of the other winners are-Best Picture: The Artist; Best Actor: Jean Dujardin – The Artist Best Actress: Meryl Streep – The Iron Lady;Best Director: Michel Hazanavicius – The Artist Best Film not in the English language: The Skin I Live In (Spanish); Academy fellowship: Martin Scorsese. Noted Hindi writer Professor Ramdarash Mishra was selected for the 21st Vyas Samman award for his poetry collection Aam Ke Patte published in 2004. 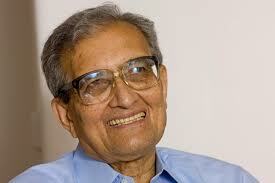 India`s Nobel Prize-winning economist Amartya Sen was awarded the 2011 US National Humanities Medal. He is the first Indian to be honored with the medal that is typically awarded to US nationals. The 2012 Laureus Sports Awards were given in London on 6 Febreaury. The winners were chosen by 47 sports stars who make up the Laureus sports academy. The winners were- Sportsman of the Year: Novak Djokovic; Sportswoman of the Year: Vivian Cheruiyot; Team of the Year: FC Barcelona; Breakthrough of the Year: Rory McIlroy; Comeback Award: Darren Clarke; Disability Award: Oscar Pistorius; Action Sportsperson of the Year: Kelly Slater; Lifetime Achievement Award: Bobby Charlton; Sport for Good Award: Rai. Indian Union Minister for Labour and Employment Mallikarjun Kharge was presented with Pride of India award by the Indian-American community in Washington on 1 February 2012. He was honoured with the award for his over four decades of public service.The award was presented jointly by the Indian American Friendship Council (IAFC) and India Association of North Texas (IANT). Bollywood actor Abhishek Bachchan received a Green Globe for Outstanding Efforts by a Celebrity Award for his efforts toward a greener future at the fourth edition of the Panasonic Green Globe Foundation Awards on 2 february 2012. He received the award from Hollywood actor and former Governor of California Arnold Schwarzenegger.During his visit Schwarzenegger also attended the day-long Delhi Sustainable Development Summit presided over by the Indian Prime Minister. Veteran environmental filmmaker Mike Pandey was honoured with the prestigious V. Shantaram Life Time Achievement Award at the Mumbai International Film Festival 2012 on 3 February 2012. He received the award for his documentaries on wildlife conservation and environment. Shri Khamliana from Mizoram and Md. Abdul Bari from Odisha have been jointly selected for the National Communal Harmony Award 2011. The Jury headed by the Vice President Shri Hamid Ansari made the selection. National Communal Harmony Awards were instituted in 1996 by the National Foundation for Communal Harmony, an autonomous organization set up bt the Government of India, Ministry of Home Affairs. The Award in the individual category carries a citation and a cash award of Rupees two lakhs.